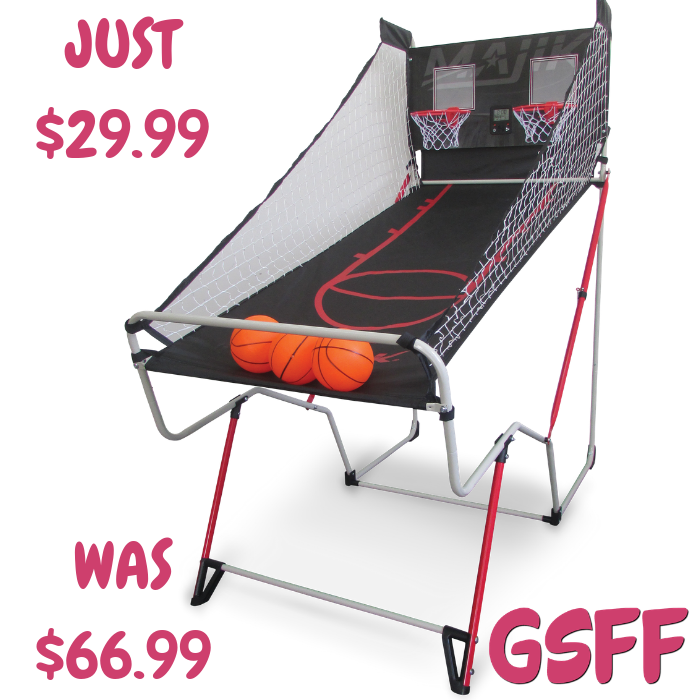 Majik Basketball Game Just $29.99! Down From $67! Head over to Walmart to score this Majik Basketball Game for just $29.99 down from $66.99 PLUS FREE store pick up or FREE shipping for orders $35 or more! The Majik Nothin But Net Shootout is the ultimate addition to your home arcade! The heavy duty metal frame, sturdy metal rims, and an ultra-tough nylon ball return are engineered to stand up to intense competition. The quick setup frame design sets up in minutes and folds down for compact storage. The Majik Nothin But Net Shootout is head and shoulders above the competition! Can you be the king of the court? Electronic LCD Scoring and Sound bring the action to life!